Suzuki Swift Strong Hybrid Showcased At 2018 Indonesia Auto Show — Will It Come To India? 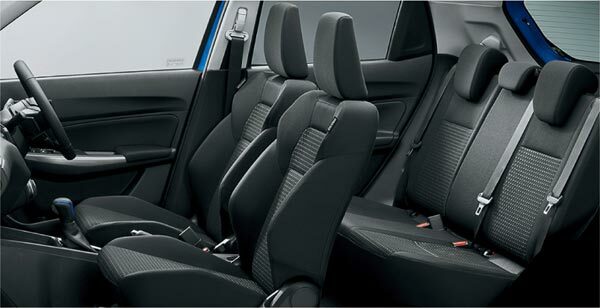 Suzuki has showcased their ‘Strong Hybrid’ version of the Swift hatchback, at the ongoing Indonesia Auto Show. The Suzuki Swift hybrid, however, has already been on sale in the Japanese market since 2017. In terms of design, the Swift hybrid looks identical to the standard version of the hatchback, apart from some minor changes. These include a new honeycomb mesh grille and a ‘Hybrid’ badge on the front fender. The Suzuki Swift Strong Hybrid is powered by a 1.2-litre (K12C series) petrol engine, combined with an MGU (Motor Generator Unit). The petrol engine on the swift produces 90bhp and 118Nm of torque. 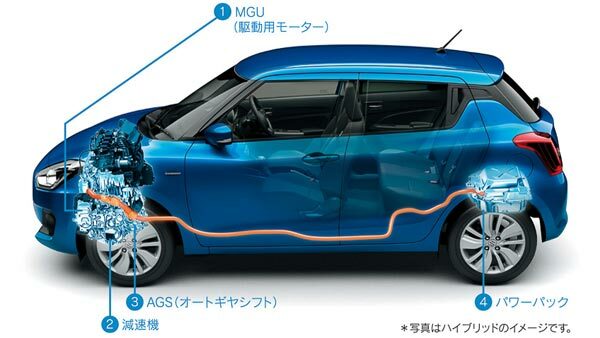 The electric motor on the Swift draws power from a 100V lithium-ion battery pack. The electric motor produces an additional 13.4bhp and 30Nm of torque. The combination of the petrol engine and the MGU brings the total power output to 103.4bhp and 148Nm of torque. The power unit is further mated to a five-speed AMT gearbox, with paddle shifters. 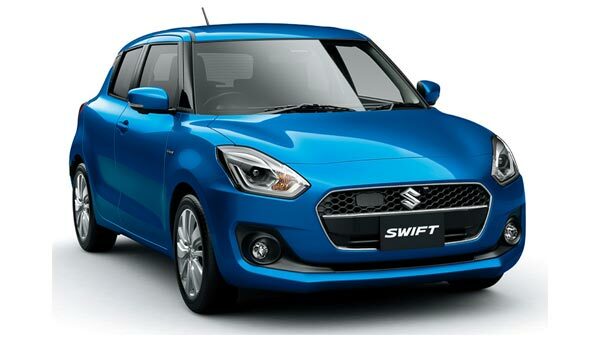 In comparison, The Indian-spec Swift hatchback is powered by a 1.2-litre (K12B Series) petrol engine. It produces 82bhp and 113Nm of torque. 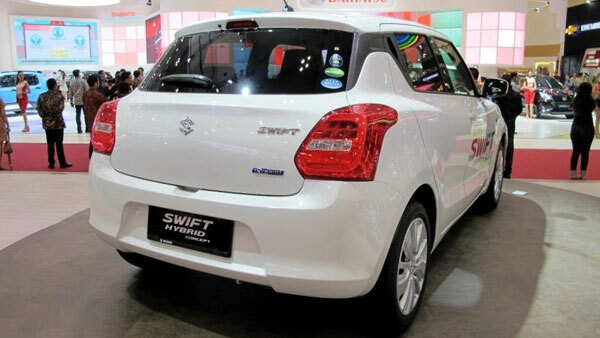 Also, the Swift hybrid in Japan, claims a mileage of 32km/l. This is almost 10km/l more than the Swift sold in India. Inside, the Swift Strong Hybrid features blue lights above the MID, which also shows the power graph. 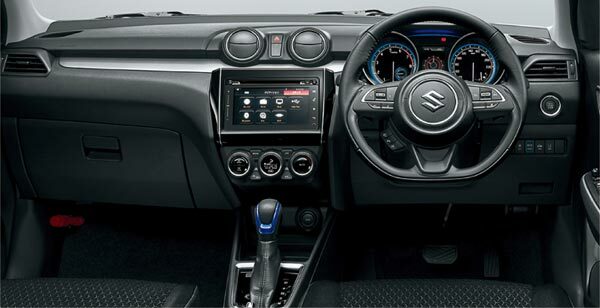 The Swift hybrid also comes with blue accents on the gear lever, among other places. The hatchback also comes equipped with lasers and cameras for pedestrian detection. The car will also get dual sensor brake support for better braking performance. 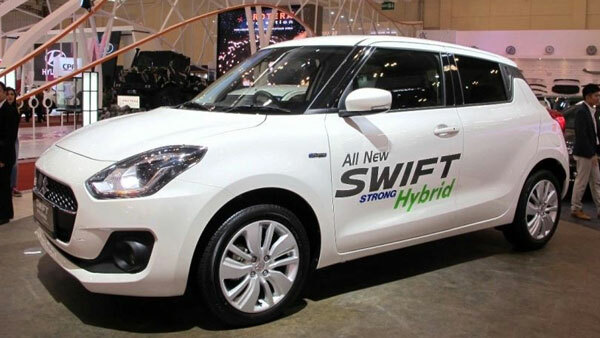 Maruti Suzuki had showcased the powertrain of the Swift hybrid at this year’s Auto Expo. However, there were no reports of the company introducing the hatchback in India. However, with stringent emission norms, scheduled to be implemented from April 2020. We can expect, Maruti to introduce the Swift hybrid in India. Maruti has already announced its plans to launch its first electric car in India by 2020. The company already sells mild-hybrid diesel versions of the Ciaz, Ertiga and S-Cross in India. The company will also launch its first mild-hybrid petrol car in the form of the Ciaz, later this month.